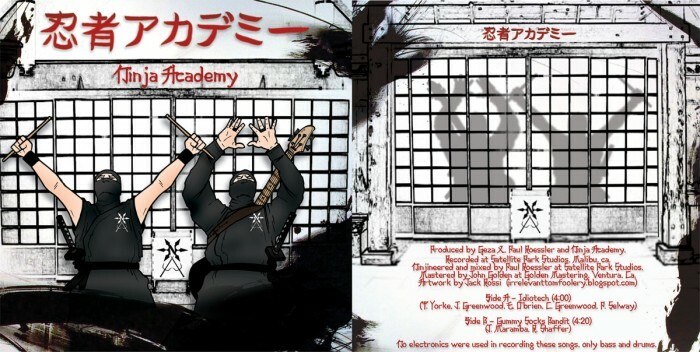 Ninja Academy | Redeem your Dropcard. You probably got this card from buying our new 7 inch vinyl record (our first one!). Thank you for purchasing it! Well guess what? You're getting two extra tracks that are not on the vinyl. 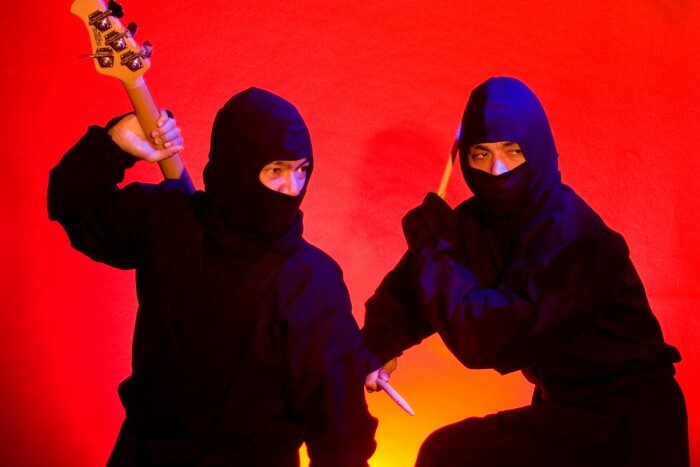 We are giving you another song that is from our upcoming album, "Ninja Academy", that will be released in January 2010 and another song that is not available anywhere else! 1. Idiotech <-- will be on the new album. Our cover version of the Radiohead song. 2. Gummy Socks Bandit* <-- only available here, via download. 3. 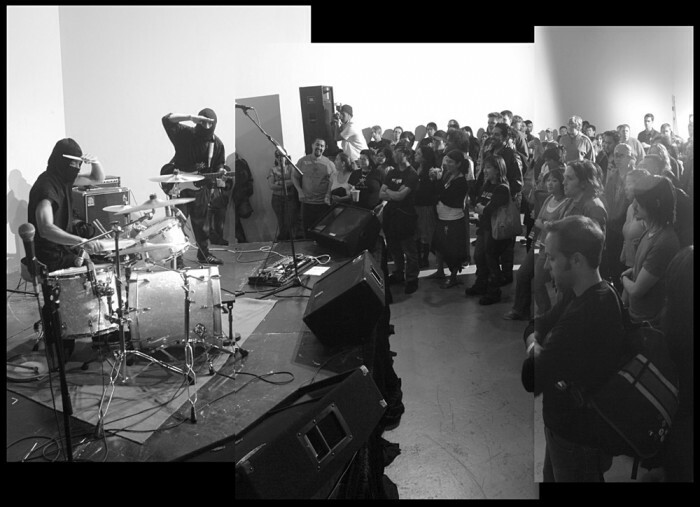 Last Action Hero <-- will be on the new album. 4. Post <-- demo version, not available on any album. From 2007. 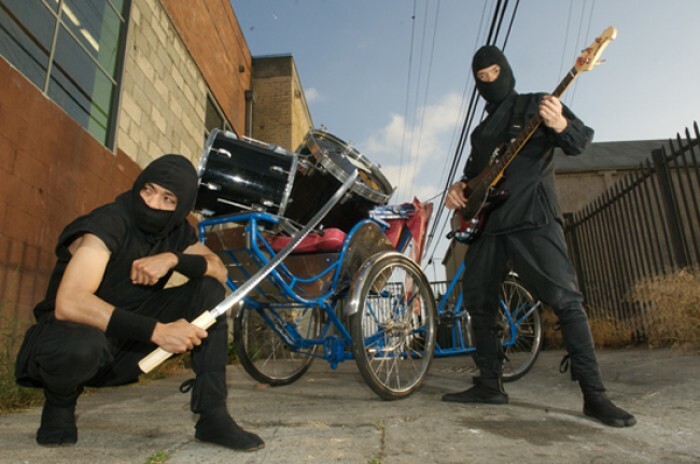 *45 Screaming Ninja plays keyboards on this song. Thanks again for buying and we hope you enjoy the tracks. See you out there soon! Friday, January 22 - time tba $? Saturday, January 23 - time tba $? 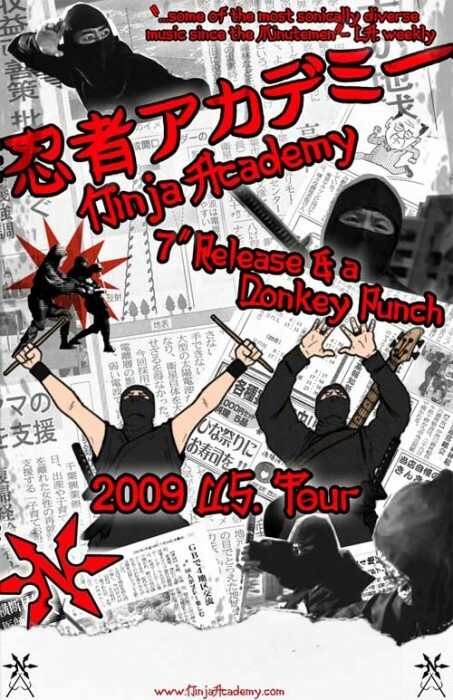 Check www.ninjaacademy.com/news.php for up-to-date show info.